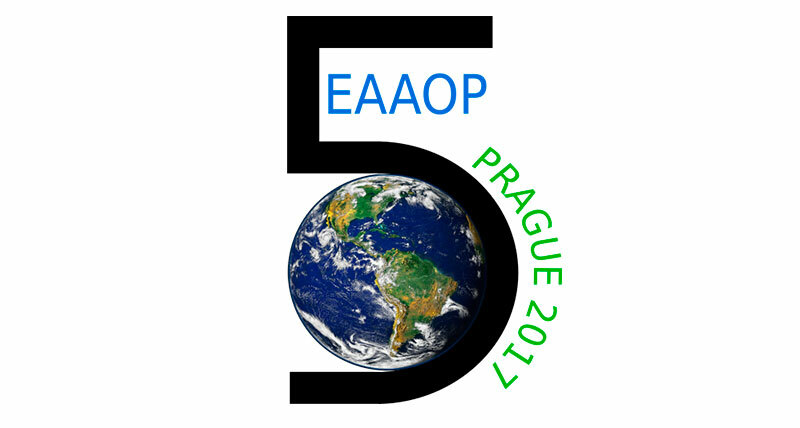 The Aquemfree system was present at the 5th European Conference on Environmental Applications of Advanced Oxidation Processes, EAAOP5 that was held in Prague (Czech Republic) between 25th and 29th June. 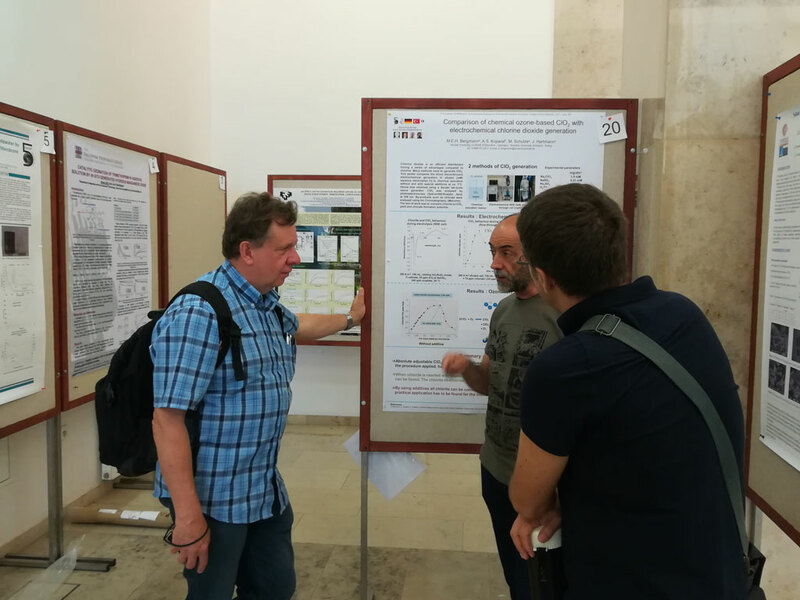 A scientific communication was presented. 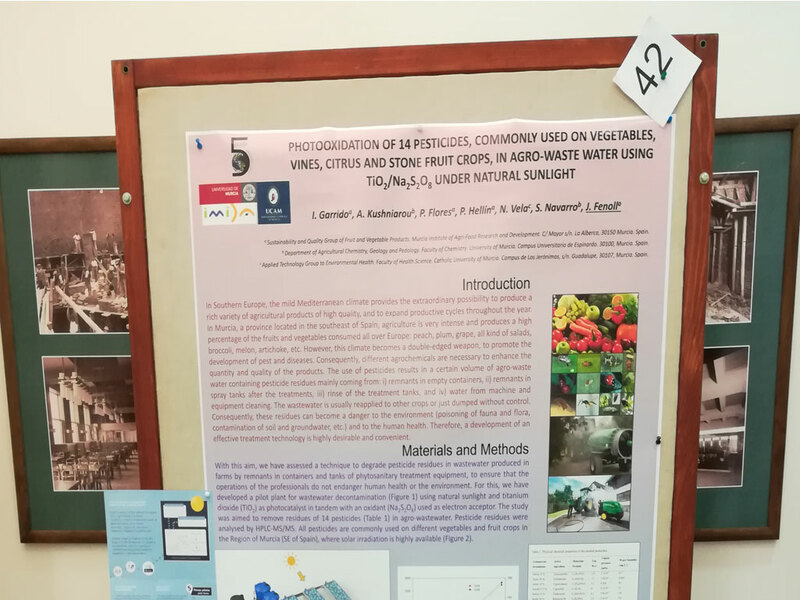 Scientists at IMIDA, the University of Murcia (UMU) and the San Antonio Catholic University (UCAM) presented their research work entitled ‘Photooxidation of 14 pesticides commonly used on vegtables, vines, citrus and stone fruit crops, in agro-waste water using TiO2/Na2S2O8 under natural sunlight’. The presentation covers degradation of 14 pesticides in waste water from farms with the Aquemfree system and using titanium dioxide, an oxidising agent and sunlight.